After months of development, we are excited to share the news! Our Windows 8 App is now available in the Windows App Store. Even if you have one of the original Windows RT tablets, you are in luck. Just make sure you have updated to Windows 8.1 and search for iCapture in the App Store. 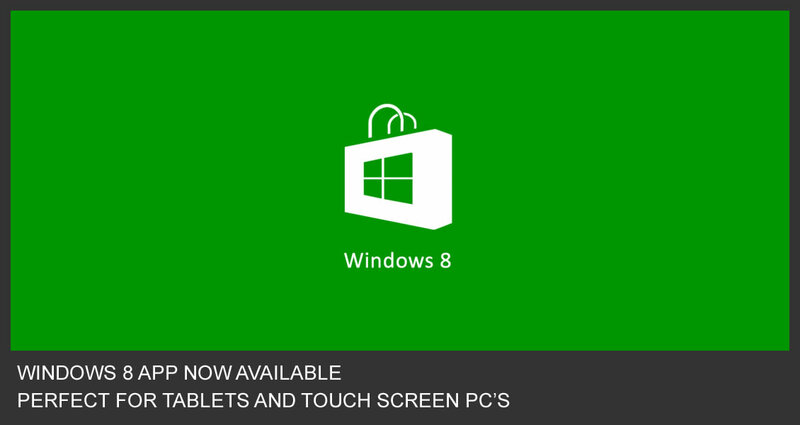 Our Windows 8 App works on any Windows 8 PC or Tablet with Windows 8.1 installed. No touch screen is required for use on a Windows 8 PC (just use your mouse and keyboard for data entry). The iCapture Windows 8 App has the same great features as our iPad / iOS app and our Android App in the Google Play store. If you have a Kindle Fire, don’t forget our app there as well. iCapture is most popular for its custom, on-screen keyboards that drastically reduce data entry time and mistakes. Eliminating the iPad / device keyboard from popping up and down reduces confusion while maintaining your custom branding on the screen.